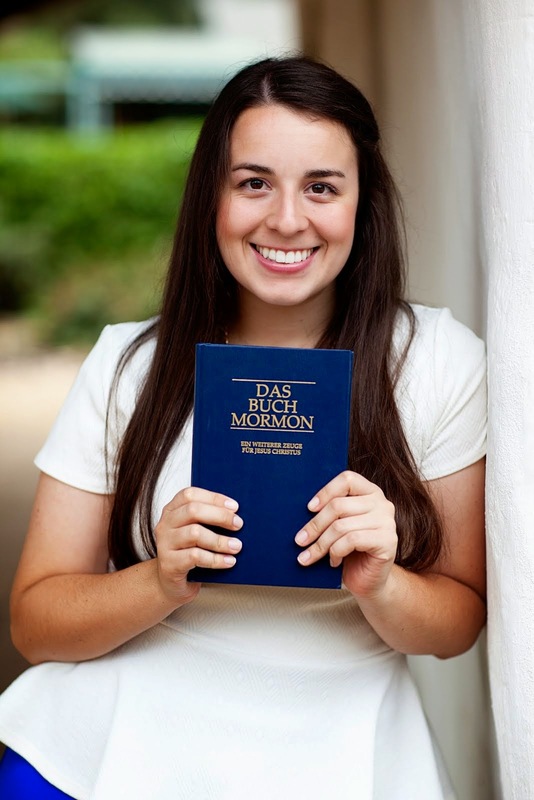 The Twin in Berlin: President and Sister Kosak Not Only Know And Live The Gospel, But They LOVE It. President and Sister Kosak Not Only Know And Live The Gospel, But They LOVE It. Grüße aus Leipzig!! The more time I spend in this city, the more I absolutely loooove it. it is so cool and German. So Lou is doing good, she is willing to keep all the commandments and wants to get baptized, we are just making sure that she has a solid testimony of the Book of Mormon and Joseph Smith. she feels good about these things, it's just helping her recognize that that is hard. Also she has yet to come to church recently, so we all decided to move her baptismal date to the end of the month, hopefully. She is really sweet! The language is a little bit hard for her, but she feels good when we meet. I just think it is so cool that she is having these experiences, having no past experiences with God or the Savior. It is still weird being with Sister Murdock, but I love it. We work in unity, and are really clear in our goals. I love that!!! She is so sweet and really precious. Yes working with Elder Clarke is coooool. I think it was last week, we were all going home on the straßenbahn, and Elder Clarke was talking with a kind of investigator they have, quizzing him on the things the guy knows about the gospel. This guy's friend was there sitting across from them, and so I went over and sat next to him and started talking to him about religion casually. Haha That was fun, Jacob and I just simultaneously preachin' the Gospel. pseudo companions on the straßenbahn. aw yeah! The best part of this week was our zone conference in Berlin on Tuesday!! Final testimonies of President and Sister Kosak. They are such role models for me. President and Sister Kosak not only know and live the Gospel, but they LOVE it. Hearing them talk about their testimonies just makes me want to be better and increase my own love for the gospel. That is how I know that I admire them. They make me want to be better. President Kosak is absolutely hilarious. I love him!! He talked about the prophet Joseph Smith, and his experiences, and how we should all apply his spiritual journey. He also gave us all this little copy of a drawing he made of the prophet. It's legit!! Man, that was such a spiritual day and I was just filled with the love that I have for this mission and for the people here. WHAT A LIFE. Well the latter part of the week was a bit rough! We had several fallen out appointments, and it was really warm the other day, which was a bit dreadful! After a few tired days I was just feeling wilted. Yesterday was Sunday. After one of our appointments fell out, we just hit the streets around Innenstadt for a few hours. We had some interesting conversations. I was super tired and just wanted to go home. After talking to someone who really didn't want anything to do with latter day prophets, we were walking down the street and I was just thinking. I thought about eternal truths, and my testimony. The fact that so many people reject the idea of Joseph Smith does not at all make it any less true than it is. They may reject it, and they may shake their head and laugh at us. BUT it is still true. As we were walking down the street in this moment, my heart was just flooded with the warmth of the spirit confirming to me that this is true. I know that Joseph Smith was called of God. I know that with all my heart. As a missionary, I am so proud and honored to defend his name and his testimony. It's hard, but I know that it is true. I love being here, and I love going through the hard times. I have so many good times here, and there is nowhere else I would rather be. Thanks for the love and support. Have a solid week!